The link here takes you to a radio show chaired by Dominic Lawson where he plays Chess and has a conversation with his guest opponent at the same time. 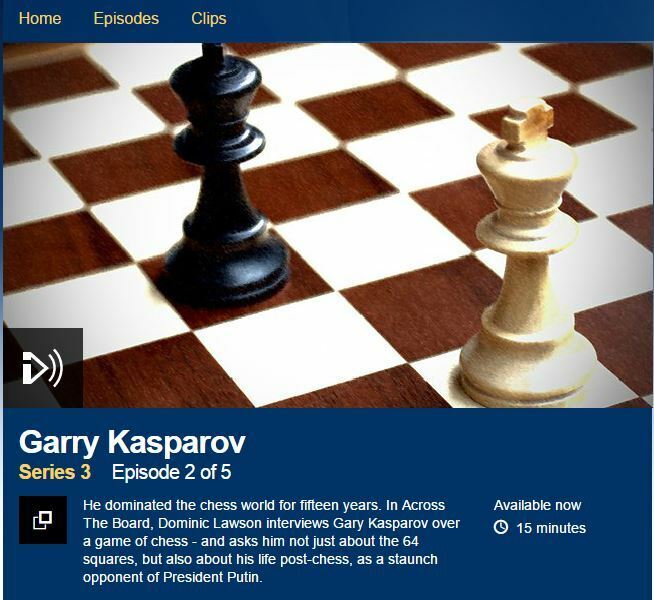 This particular show features Garry Kasparov. At about 3:20 on the timeline the conversation takes a very interesting turn. Dominic Lawson starts to talk about Garry Kasparov`s very “intimidating presence.” So the show has moved on to what we could call the subject of “Body Language.” This is a very interesting topic, the problem is, so much garbage has been published about the topic it has become hard to sort out fact from fiction. It is well documented about Kasparov`s very intense, or very intimidating persona. I suppose some people may even class it as a sort of “Charisma.” I do not know if this is some innate quality which Kasparov was born with or whether it is some psychological trick he has learned or perhaps some psychological ploy combined with acting lessons but there seems to be way in which he projects some sort of forceful personality forward which many of his former opponents have found to be disconcerting. Here is another video of some other character trying to do the same thing, I don`t know if this guy is an amateur actor or not but if you watch the video I am sure you will agree he just does not have the ability to project a realistic “menacing persona,” as a matter of fact he looks quite stupid. I guess some people just have it and some people don`t? If you walk around any working class area of Belfast it will not be long before you see some young man or group of young men who are desperately trying to project a “tough guy” image. They try so hard to convey a “menacing persona, “they fail to realise they just look like a phony actor with outward appearance of a laughable caricature. In my lifetime I have only come across one individual who exhibits an innate outwardly “menacing presence” without trying and I can assure you he is not a professional actor. I can also assure you a professional actor like George Clooney for instance would pay millions of dollars to harness the aura this person naturally radiates. I will describe an image to you and you can try to picture such a person in your own mind. It is possible there is only one picture of this person on the internet but it is actually featuring someone else and the person I am talking about is standing in the background, plus because of his appearance in the picture no one would recognise him. What you have to do now is conjure up an image in your mind of what you imagine an ex SAS soldier looks like and what sort of demeanour he would exhibit? Then you conjure up an image in your mind of what an ex SAS soldier who has killed people looks like and what sort of demeanour he would exhibit? Then you conjure up an image in your mind of what an ex SAS soldier who has killed people and would kill more people if he had to looks like and what sort of demeanour he would exhibit? Then you conjure up an image in your mind of what an ex SAS soldier who has killed people and would kill more people if he had to, plus he is extremely peeved because he has spent a long time in jail because he was double-crossed by the “British” government, just imagine what such a person looks like and what sort of demeanour he would exhibit? If you can do that, you have just conjured up an image in your mind of Albert Baker. Don`t bother looking for pictures of him on the internet because you will not find them. What you may find on the internet is some stories of how Albert Baker`s mother tried to tell the local MSM that her son was genuinely a British soldier who had been tasked by a certain army section to do the task he carried out. The problem Albert Baker`s mother faced at that time was a great one. This all took place in the early 1970s, hardly anyone in the Unionist community in N.Ireland at that time would have believed that the British Army would murder people and very few people in the Unionist community at that time would ever have believed that the “British government” would ever murder people. Even if Albert Baker`s mother had found one capable local MSM journalist who believed her, the NIO would have made sure no really damaging stories were ever published. It is now 2015, anyone with an ounce of sense knows the “British” government really does murder people. 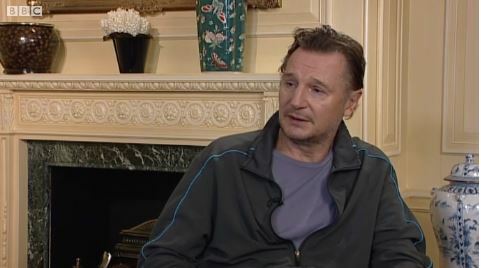 I have absolutely no doubt the current “British” government would murder Richard Kerr if they thought for one second they could get away with it. The problem for them is they cannot get away with it, not at the minute anyway. If you pay attention to Richard Kerr he seems to have what they call in the movie and theatre business “a screen presence.” You cannot help wondering if he had been given the opportunity to lead a normal childhood and been able to develope his life in a normal way, may he have eventually became a well-known and successful actor surrounded by glamorous females? We will never know because the British government robbed him of the opportunity to find out. There really is such a thing as “body language” but I believe it can only be understood or studied properly from a Biblical basis. If you notice the number of times the Bible speaks about “the countenance” it is conveying the message that the look on a person`s face can reveal a great deal about them especially if they are caught off-guard. The Lord Jesus Christ had a very determined, resolute demeanour when it was his intention to go to the city of Jerusalem. I have no doubt that the demeanour he exhibited stirred a great deal of admiration, wonder, encouragement and inspiration in the hearts of all his true disciples and followers and I have no doubt the very same appearance stirred a great deal of terror and apprehension of all those who hated him and opposed him. Those who were his enemies would have found his demeanour “very, very menacing,” those who were his friends would have found his demeanour comforting and reassuring. It is possible for two people to see the same “Body language” but both interpret it in very different ways. Genesis 31:5 And said unto them, I see your father’s countenance, that it is not toward me as before; but the God of my father hath been with me. Proverbs 6:12 A naughty person, a wicked man, walketh with a froward mouth. 13 He winketh with his eyes, he speaketh with his feet, he teacheth with his fingers; 14 Frowardness is in his heart, he deviseth mischief continually; he soweth discord. In truth, if you’re concentrating on body language you’re not concentrating on the game. Just play… I mean after all, he could be bluffing. Thank you for your comment. It is very true what you say when it relates to the matter of games. However there other aspects of life where thinking you can call someone`s bluff can be fatal if you happen to be wrong.